Patrolling the farthest reaches of the galaxy, the Green Lantern Corps operates as an intergalactic police force, helping to keep peace throughout the universe. With members made up of aliens from across the universe and a base of operations on the planet Oa, the Green Lanterns follow the command of the Guardians—a race of immortal beings who have been around since the beginning of time. Utilizing a special ring of immense power, Lanterns can create energy constructs in the shape of whatever their imagination can conjure. The power ring can also translate any language, grant its wielder flight and offer protection in almost any environment. It is, quite simply, the strongest weapon in the universe. It should be known, however, that one does not simply enlist in the Corps. Only a chosen few get to harness the power of the ring. 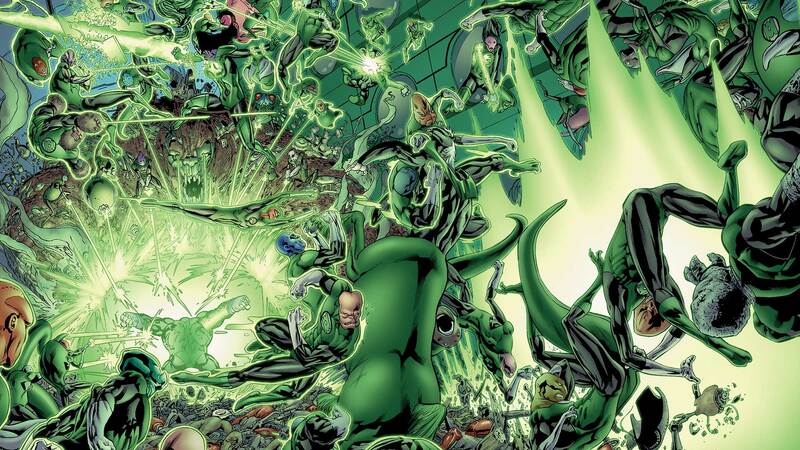 With the likes of Hal Jordan, John Stewart, Kyle Rayner, Guy Gardner, Simon Baz, Kilowog and Mogo among their current and past ranks, the Corps holds itself to only the highest standard of character and hero—individuals capable of overcoming great fear and possessing the will to do whatever it takes to keep those around them safe. So, when you look up at the stars, take comfort in knowing that the Green Lantern Corps is watching over you…in brightest day and blackest night. The fate of the planet rests on the shoulders of a reluctant Green Lantern and an unstable hero from the future in Justice League vs.